Guli's mother will be traveling for one night and Guli will stay at home with grampa. Grampa doesn't hear well and he hardly speaks, so Guli is very concerned and unhappy. 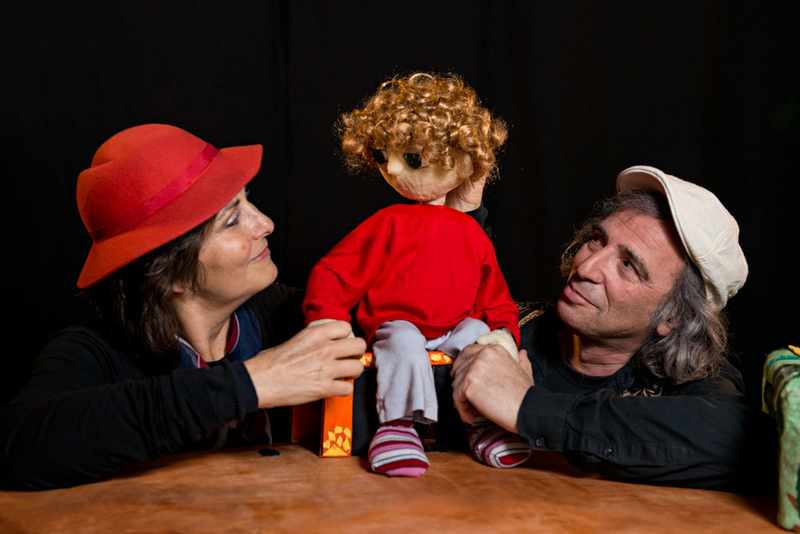 Grampa comes with a gift, this very special gift sparks Guli's world of imagination and play. During this all night long, some corners of the room became surprising and exciting. Through unexpected experiences and fantasies, Guli and Grampa find the way to each other. Visual theater without words, combining two actors, puppets, and shadows accompanied by original music.